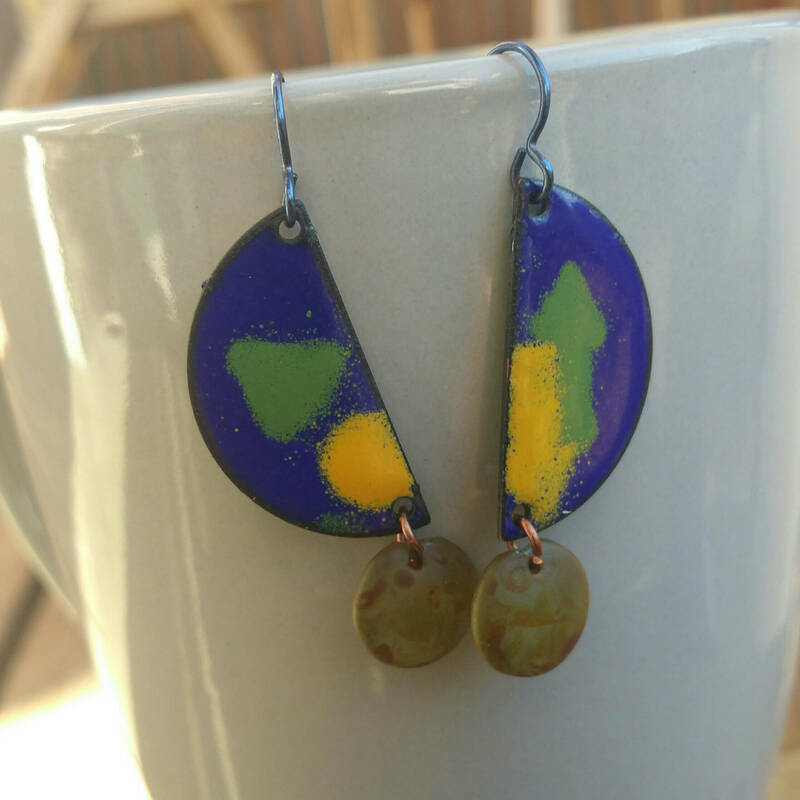 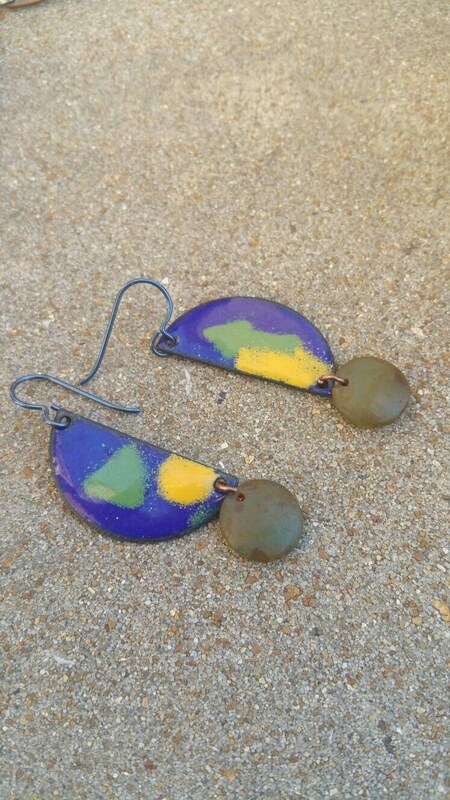 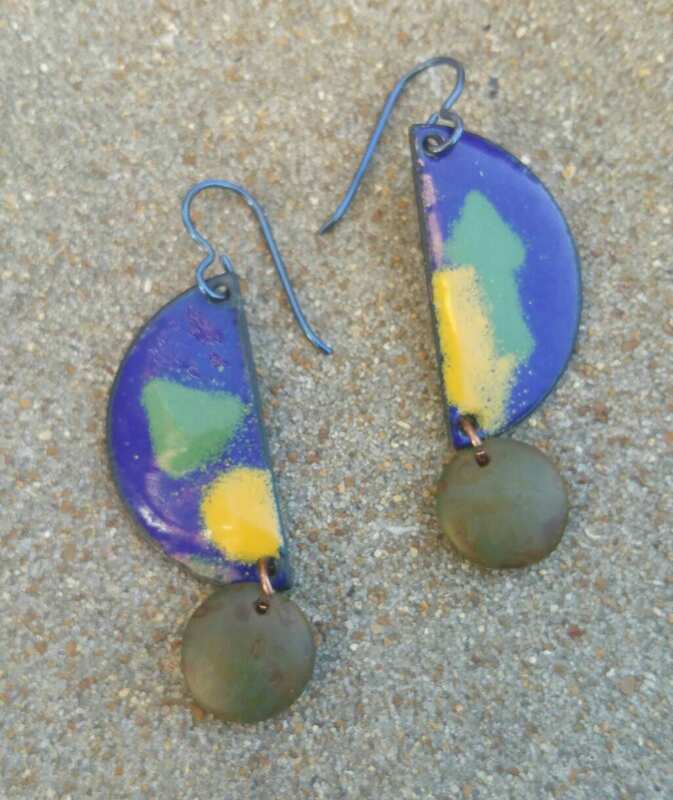 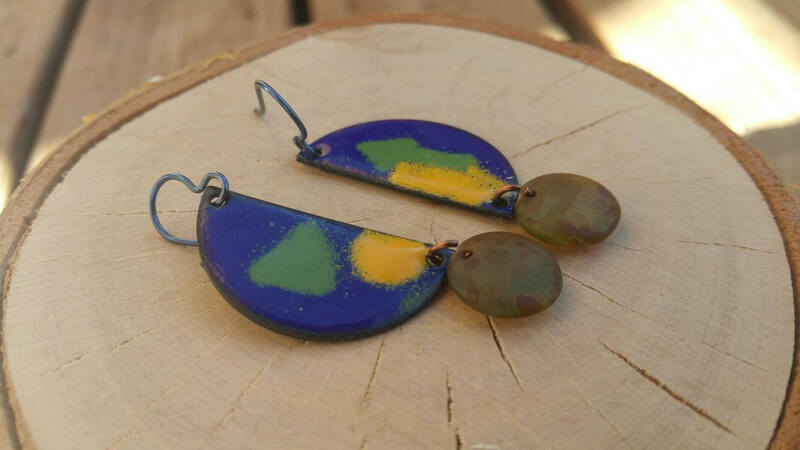 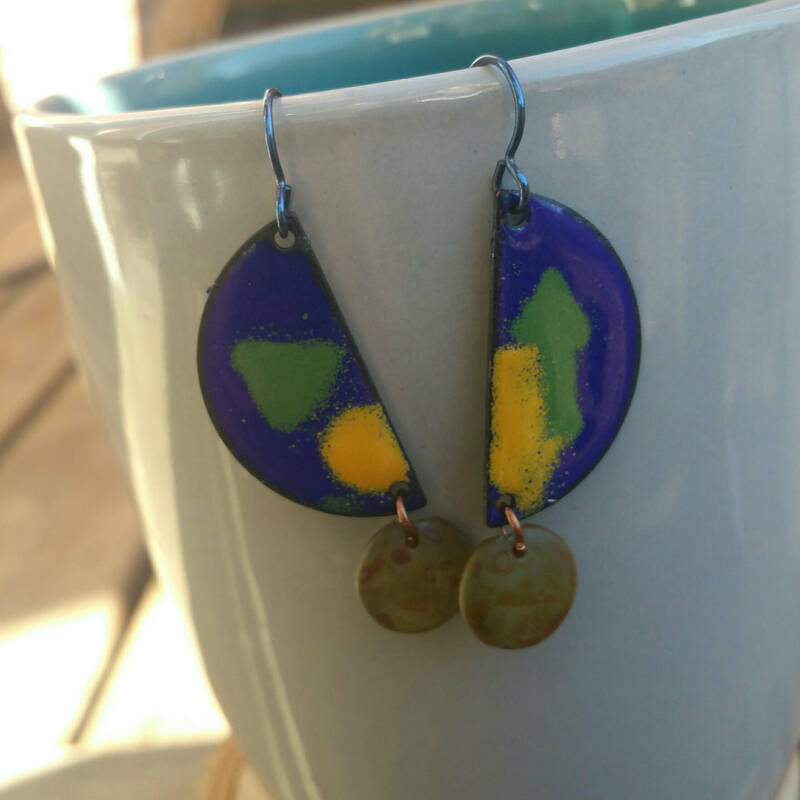 Vitreous Enamel (pigmented powdered glass) is sifted onto each piece and fired in a hot kiln. 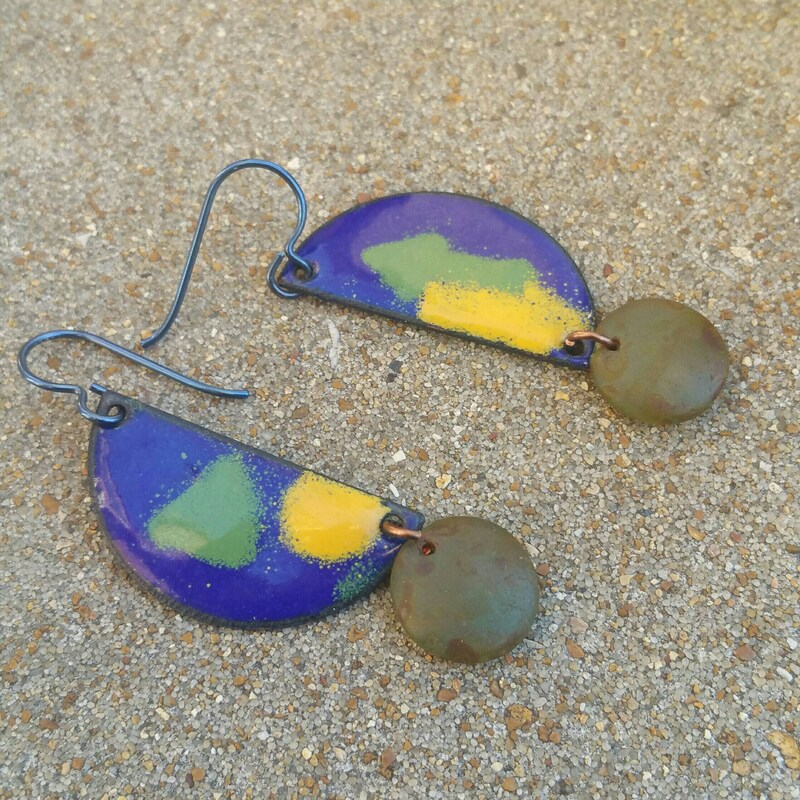 Each side is fired multiple times with multiple layers of enamel, fusing the enamel to the metal. 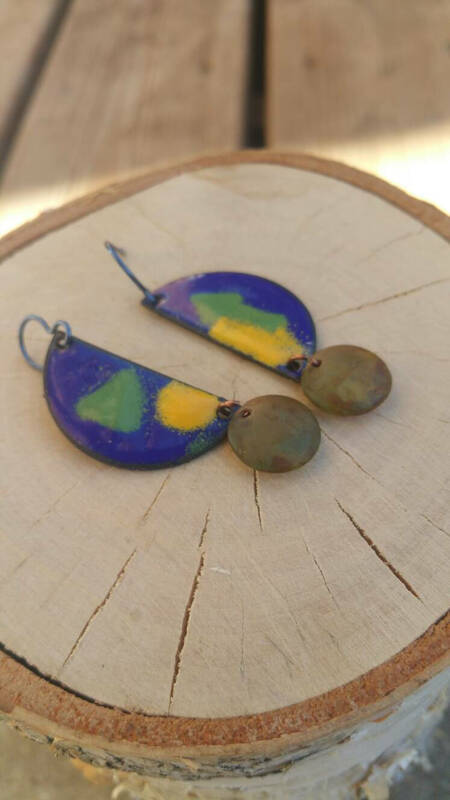 Czech glass beads and hypoallergenic niobium ear wires are added creating a lightweight funky and unique pair of earrings. 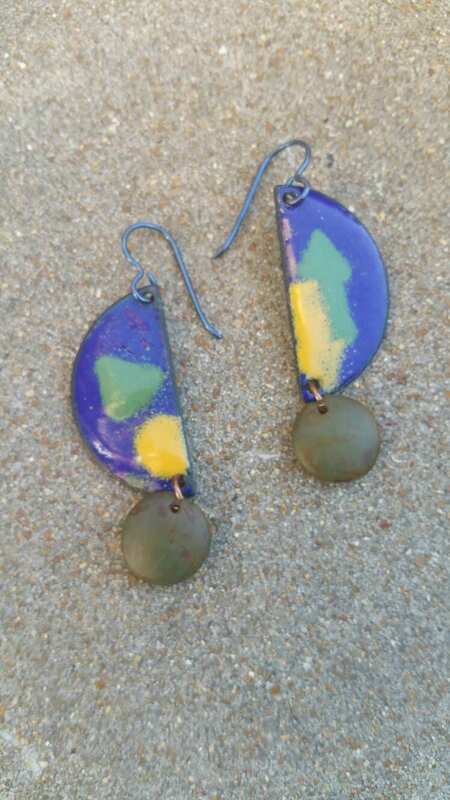 Approximately 5/8" wide and 1 1/4" in length half moon with 14" round Czech glass beads.